Harps International sponsors several outlets or showrooms around the country. They carry our instruments along with several other brands. We have been happily doing business with Harps Unlimited International since 1997. Harps Unlimited International showroom managers are comprised of professional harpists and harp builders. 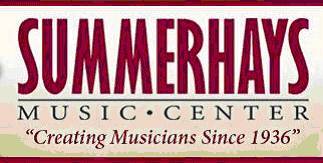 Summerhays Music is one of the finest and most professional music stores in Salt Lake City and in the country. They sell a full range of classical and popular instruments, as well as our harps and other makes of harp as well. We have been happily doing business with Summerhays since 1991.